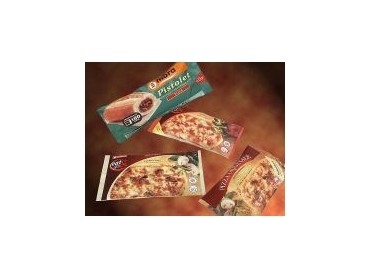 Susceptor laminates for snack and bakery products. LPF Flexible Packaging, represented by Chadwicks , has released range of susceptor laminates. The range is aimed at snack and bakery products such as croissants. The process works for deep frozen products as well as ambient products. The metallised inner layer of the laminate allows products to come out of the microwave crispy. This layer has a pattern of small stars. These allow the microwave to heat the product to 200ºC, which enables the products to crisp and brown. The pattern that LPF uses depends on the products. Some need a higher temperature than the 200ºC of the standard safety susceptor. For these products LPF developed the Hexagon safety susceptor, this pattern reaches a temperature of about 250ºC.